If your calves are struggling to grow, it's time to train beyond the muscles you can see. Hit this often-forgotten muscle group and start growing from within! Don't you just hate those stubborn body parts that never seem to grow? This stubbornness is often caused by underlying issues, or more accurately, underlying muscle tissues. You may not have considered it, but you can improve a body part by training deep muscles that you can't see. I call these the "pop 'em out muscles," since they aid in popping out the muscles we bomb every day in the gym, making them look larger and more developed. The three main pop 'em out muscles are the brachialis, pectoralis minor, and soleus. That last one deserves some time in the spotlight. That's because it's hiding down there in what is supposedly the most stubborn muscle group of them all, the calves. You may have given up on training it a long time ago, but just a few weeks of direct work there can deliver some eye-popping results. 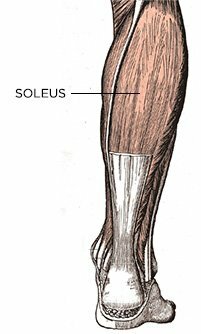 The soleus is a thick, flat muscle underlying the gastrocnemius. It originates on the head and shaft of the fibula, as well as the posterior surface of the tibia, and inserts onto the posterior surface of the calcaneus (heel) via the Achilles tendon. The soleus functions to flex the foot forward or down. The science geek term for this is plantarflexion. The soleus is unique in that more than 80 percent of its muscle fibers are Type I, or slow twitch. These fibers generally have a slow contraction velocity, low tension capacity, and high fatigue resistance, so it's a good idea not to go heavy when training them. You might know that. But what you might not know is that the soleus constitutes roughly 60 percent of your calf. That means most of your calf is made up of this muscle! The other major calf muscle is the gastrocnemius. The standing calf raise targets that one more, whereas the seated calf raise places emphasis on the soleus. So let's head to that lonely machine over in the corner. This is a basic exercise, but I still see people doing it all wrong. First off: Set the pads comfortably over your lower quads, above the knee. Set the pads too low and you risk them sliding off. If they're placed too high, the range of motion will decrease, lessening the effectiveness of the movement. The ankle is a hinge joint that allows movement up, from a maximum of 20 degrees (dorsiflexion), to down 50 degrees (plantarflexion). However, unlike many other muscles, the calves keep working at full contraction—they don't transfer the stress to the bones. Therefore, it's vital to work your calves from a full stretch to a full contraction. Calf muscle strength and size are positively correlated, so you should aim to use more weight each and every session. Keep your upper body still during seated calf raises; don't swing or otherwise use your arms. Focus on lifting your heels as high as possible and then getting a good stretch at the bottom. A legit seated-calf-raise machine will have a slanted platform, or even better, a rounded platform to accommodate an even greater range of motion. Many people are sloppy and lazy during the plantarflexion movement, so keep it controlled and roll over your big toe to emphasize the often-neglected medial fibers. As opposed to the standing calf raise, foot position doesn't change muscle action in the seated calf raise. For the seated calf raise, do three sets of 15-20 reps. I've also seen great results from dropsets, where you finish a set, drop the weight, and knock out another set or two without resting. These both work fine for a while, but I want you to try something different. Trust me, it won't take long. 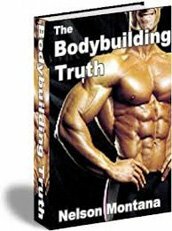 Perhaps the most efficient calf-building program is one that I picked up ages ago from The Bodybuilding Truth: Secrets You're Not Supposed to Know by Nelson Montana. It involves a form of cluster training, which is basically one long set with inter-repetition rest intervals. The goal with this method is to perform 75-100 reps within a 4-minute period using a load that equals your 20-rep max. Here's how it works: Load a seated calf raise machine with a weight you would normally use for a 20-rep set. Start the set and do as many reps as you can. Once you hit failure, rest 10 seconds, and then continue until you can't do another repetition. Proceed in this manner until you bang out 75 reps.
You may only get a few reps out at a time toward the end. That's fine; that's how this is supposed to work. Just keep going until 75 reps are completed. It should take you no longer than four minutes to accomplish the whole set. Perform this routine at the end of your leg workout every five days, adding five reps each time. After a month, your calves should be noticeably bigger. Make sure to change the routine at that point. Switch back to some form of straight-legged calf raises, and you can add some definition on top of your newfound thickness. John Paul Catanzaro is one of Canada's leading health and fitness authorities. He is a CSEP Certified Exercise Physiologist.